Did I take this picture in the U.S.? Ha! I wish! No, I took it in Salzburg, Austria last summer when I travelled to Europe with a few college buddies. Ah, I love Europe! One day, I need to blog about some of my experiences there. 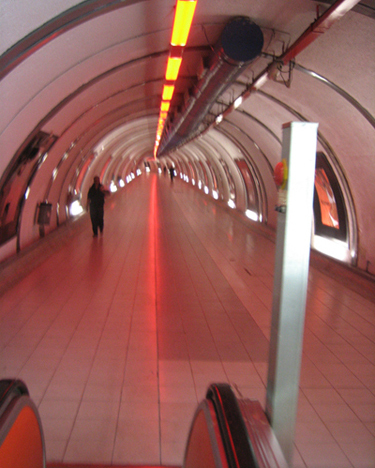 Escalators that take you between the depths of the Munich U-Bahn subway system and street level that automatically change direction depending on whether people are at the bottom or at the top of the escalators! Or how about a hostel – a HOSTEL! – in Maastricht, the Netherlands, with lights wired to motion detectors! 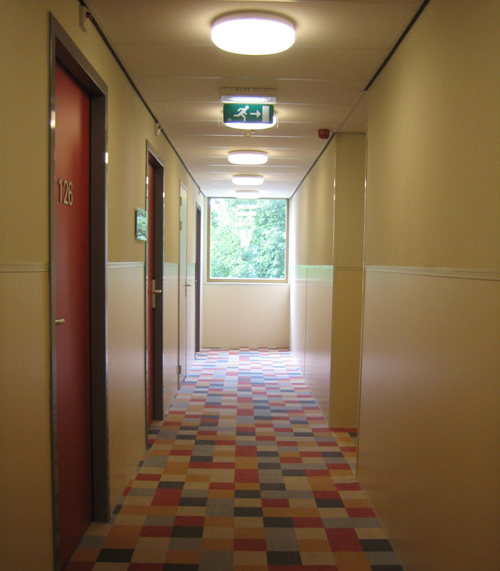 But more than that, each INDIVIDUAL overhead light (spaced a few feet apart), had its OWN motion detector so when you’re walking down the hallway to your room, the lights turn on in succession! I almost felt like a movie star with a spotlight following me around! 😀 Or actually, I felt more like Q-Bert from my cousin’s old Commodore 64 video game, bouncing to the next square – hop-hop-hop! Oh, but I have a love-hate relationship with motion detectors… I love it for everything except for toilets and sinks. As they are designed now, that is. Toilets always seem to flush when I don’t want them to, and faucets never detect my hands! A few times in Europe, I felt like I had to do a hokey-pokey dance to try to find the motion detector for the light. It turns out that in one hostel in Rome, there was an actual SWITCH that nobody seemed to know how to activate… But before I finally flagged down an employee, I sure did feel like a fool jumping up and down! I guess I had just come to EXPECT these energy-saving practices everywhere in Europe. So, back to McDonald’s. What would it take for us Americans to recycle more?